New, Fun and Fabulous That Will Change the Way You Garden - Forever! How can you keep from dragging your garden hose over newly planted seedling? Where can you find cheap garden stakes? What can you use to keep the family cat out of your freshly tilled flower beds? This book answers these questions and hundreds more with unique new tips. Plentiful illustrations make for great browsing, while subject-area organization leads you to specific problem solutions. This book is sure to spur you on to improve the bloom and beauty of your garden. 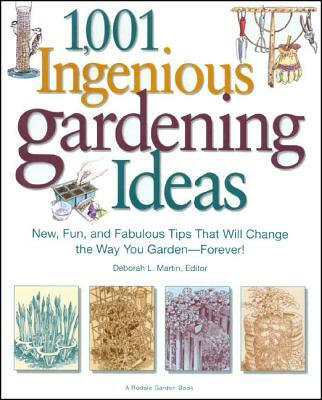 Deborah L. Martin is a garden book editor at Rodale Press. She holds a degree in horticulture from Purdue University.